Outline Clinic was founded by Mary White, Registered Nurse and Independent Prescriber in 2001. Fast forward 16 years and we have a busy luxury/boutique clinic serving around 2600 patients in Droitwich Spa, with around 400 patients treated each month. The longevity of establishment, added to our unblemished reputation has led to us becoming arguably the most trusted aesthetic clinic in Worcestershire. Our financial stability with growth year-on-year provides the ability to reinvest, and we have purchased more capital equipment this last financial year. We offer core treatments that focus on predictable results, rather than going with the latest "trend". Our patients trust us and feel valued, respected and taken care of and we can treat them holistically throughout their journey of care with us. Mary's aim when establishing the clinic was simple. She wanted to provide a pioneering aesthetic treatment, in a boutique setting, which would meet all our patients needs by being a one-stop clinic, that was CQC Registered. Patients enjoy the benefit of individual attention and we are anxious to avoid a "conveyor-belt" approach. Our highly individualised approach to care means patients are treated as part of a bespoke plan, with all our practitioners working together so we can "go the extra mile". Outline Clinic remains family owned and run to retain the luxury ethos. 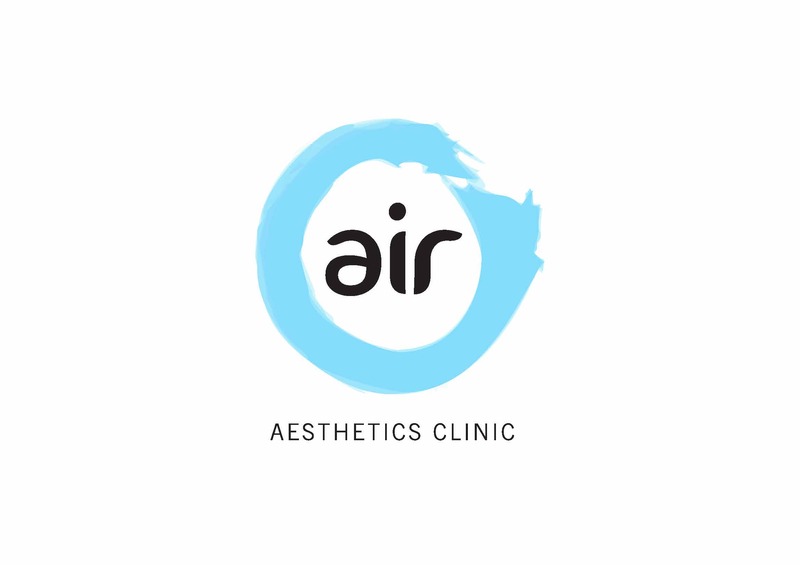 Air Aesthetics was established in 2013 by Dr Claire Oliver and has, over the last five years, grown from strength to strength. From the beginning our ethos was “quality not quantity” and this remains very much at the heart of everything we do. We are renowned for our innovative approach to non-surgical aesthetics, our outstanding level of patient care and unrivalled expertise. We have two clinics: our first is located in the picturesque town of Henley in Arden; our second in Edgbaston the medical district in Birmingham. These chic and contemporary centres benefit from consistent investment, providing FDA-approved solutions to meet the needs and concerns of our clients. Regionally we lead the way with our innovative treatments and are recognised as a centre of excellence for Coolsculpting®, Ultherapy, HydraFacial™, Profhilo, PRP, Plexr®, Nanopore, Lynton Luminar®, Exilis®, and Cellfina®. Belotero® has been added to our injectibles portfolio and we have a planned introduction in six weeks’ time for Thermiva® and Bio Idenitcal Hormones services. A dedicated Skin Imaging Suite has been introduced to the clinic offering each client a full facial and body scan utilising the Fotofinder. We are the Midlands’ lead clinic for the treatment of sun damage and pigmented skin using world renowned dermatologist, Dr Zein Obagi’s skincare range ZO; we exclusively offer the Dr LEVY of Switzerland® range; and are proud to be a designated Obagi Ambassador Clinic. 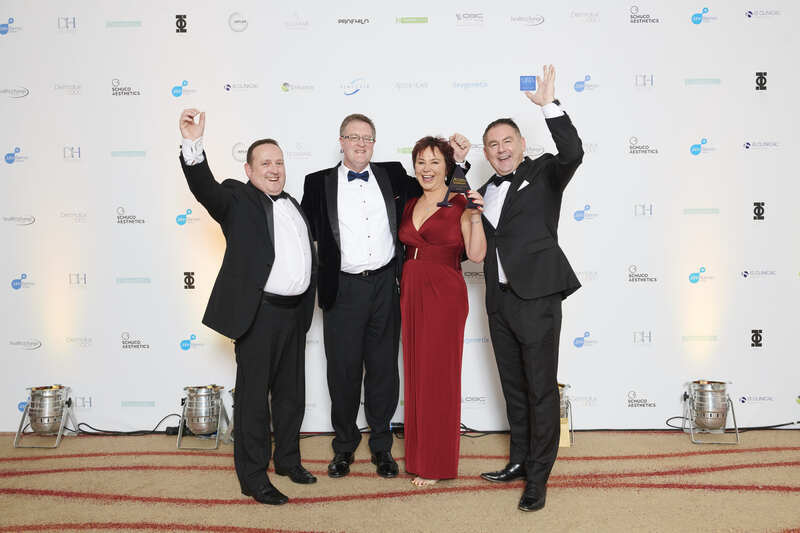 With a rapidly growing client base that now stands at 6000, we are rightly proud that our customer retention remains at a very impressive 97%. Our biggest source of new customers is personal recommendation driven by our innovative ambassador referral programme. Hampton Clinic was established by Dr Lorraine Hill in 2014, and now has a data base of 1000 clients. It is nestled discreetly among the tall trees in the woodland estate of Hampton Manor Hotel. Lorraine’s family own the hotel, which boasts a Michelin-starred restaurant, Peels. She managed the design and development of the clinic herself, resulting in a style and décor which “brings the outside in”, as we echo the rich and sumptuous woods, tones and wildlife of the rural location we enjoy. The clinic completes the stylish boutique get away, with its warm welcoming retreat-like experience for clients. Dr Hill strives for excellence with intensive training for both herself and her staff members , to provide the very best and most up to date treatments at all times. She has been careful to select the most effective and safest of machines, ensuring they are FDA cleared and ce-marked. The clinic offers a wide range of aesthetic and beauty treatments. Aesthetic treatments include CoolSculpting, Ultherapy, Botox and Dermal Fillers including Profhilo, Non-surgical blepharoplasty and mole removal with Felc, Aqualyx, PDO thread Iifts, Microsclerotherapy, skincare consultations with ZO specialist skincare and peels. The beauty therapists offer Microneedling, Hydrafacials and Perk Treatments, Microblading, Eyelash extensions, Hi-Brow treatments, Tanning, waxing, Aromatherapy massage, Deep tissue massage, Himalayan rock salts massage, Gel nails, manicures and pedicures. We stock and use Jane Iredale mineral make up for bridal make up and consultation. At the clinic, our ethos is to provde the very best aesthetic and beauty treatments , offering only the highest quality products and machines which focus on client safety and satisfaction. We aim to do this in an environment of luxury, peace and tranquiity, creating a memorable experience. To complete the holistic approach to our services we offer life coaching and counselling, as well as Functional medicine and nutritional advice; providing skinade for skin health and Zenii nutritional suppliments for all areas of well being. Founded in 2009 by clinical director Harley Spencer and based in Newcastle-under-Lyme, Staffordshire, Harley Skin and Laser offers a large selection of innovative aesthetics procedures and luxury beauty treatments. Using a combination of FDA approved, high tech equipment, detailed consultations and highly qualified practitioners to ensure clinical excellence, Harley Skin and Laser is dedicated to achieving the best possible results tailored to each client – from initial consultation to aftercare and bespoke maintenance treatment plans. In November 2016 the clinic expanded to a state of the art seven treatment room centre of excellence. Since its launch the clinic has welcomed over 5K patients; an increase of 150% and introduced over 20 new treatments. Customer service is interwoven throughout the entire ethos at the clinic, from the moment that a client calls to book a consultation to the treatment itself through to the bespoke aftercare and maintenance treatment plans, every client is made to feel special and important. Vascular, Acne, Pigmentation, IPL & Laser Hair Removal, Skin Rejuvenation, Tattoo removal. Mc Aesthetics (formerly Mac Aesthetics) is a luxurious, contemporary yet friendly clinic based in Sutton Coldfield, West Midlands. Mc Aesthetics (Birmingham) was established in 2015, growing a significantly large patient database of almost 5,000 patients in under 3 years. Along with new patients booking on a daily basis - we also have a very high retention figure as our loyal patients return for additional treatments, or retreatment of their initial procedure. Mc Aesthetics offer a very wide range of procedures inclusive of injectables (fillers/anti-wrinkle treatments) to skin care (PRP, Pro Facials, Skin peels, Micro-needling) We also offer soft surgical procedures such as non-Surgical Blepharoplasty, Neck/Facelifts using Plasma Technology and body contouring treatments such as 3D Lipo. Our team of practitioners pride themselves on staying up to date with their knowledge and skills to ensure they deliver the highest standard of care possible to each patient, tailoring each treatment to the individual’s needs. Mc Aesthetics aim to restore/improve the confidence of both male and female patients by enhancing and restoring natural beauty. Led by an experienced and charismatic Clinical Director, Dr David Eccleston- an expert in the use of Botox in aesthetic cosmetic treatments - MediZen has nurtured a philosophy of focusing on providing solutions to problems not simply selling treatments and, as a consequence, offer consultations where time is allocated to discuss and really understand what it is clients hope to achieve from visiting MediZen. Ethics always come before profit at MediZen - if we don’t believe we can achieve the clients’ desired results we will not treat them. Since being founded MediZen has strived to be innovators in medical aesthetics, offering evidence-based treatments rather than the latest fad. We have been involved in the research and trialling of many new treatments and have established ourselves as the Midlands Sweat Smart Centre making MediZen the only clinic in the country able to offer all forms of treatment possibilities for Hyperhidrosis. Skinfinity was established in 2012, realising a long-held dream. The clinic sits in private grounds in the Derwen Fawr area of Swansea. Patients are invited into a tranquil, spacious, clinical treatment room overlooking beautiful gardens. Since its inception, I have over 1200 patients performing well over 5,500 procedures. On average I am treating between 30-40 patients per week and I am proud to have a high retention rate of patients. Current treatments offered are anti-wrinkle injections for upper and lower face, treatment of hyperhidrosis including facial and scalp sweating, a range of dermal fillers for facial rejuvenation, including cheeks, lips, jawline, chin, tear trough, temples, forehead and all aspects of upper and lower face, neck, chest and hands. Also available is medical needling, platelet rich plasma for skin rejuvenation and hair restoration, mesotherapy, skin-boosters, scar revision, chemical peels and a range of tailored skin care regimes for ageing, damaged skin, rosacea and acne. Lifestyle and nutrition is an integral part of the consultation for my patients as I believe optimising intrinsic health will maximise patient’s well-being, skin integrity and ability to heal and rejuvenate. I pride myself on working to the highest standards and observing regulatory changes within the industry. My goal is that patients are given honest, realistic, evidence based treatment options based on their wants and desires whilst maintaining their integrity and safety. With considerable experience in the field of psychiatry, the pharmaceutical industry, clinical expertise in critical care and holistic health, patients are provided with the highest standard of care before, during and after every procedure. 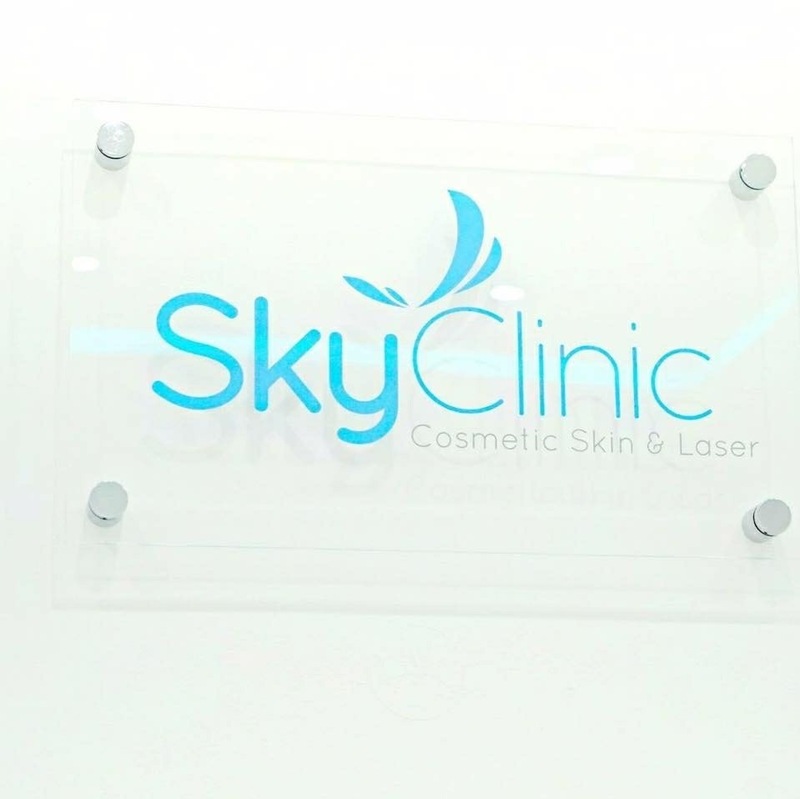 Sky Clinic have an ever increasing and wide range of professional services. The clinic have fully trained practitioners in the following areas; 3D-Lipo Suction Treatment, Microblading, Dermapen Micro-needling, 3d-Skintech Facial, Laser Therapy, Pure Skin Touch and Injectable Procedures such as Lip Augmentation, Botox Treatments and non-surgical Nose Jobs. Along with this, the clinic also works to provide solutions for Acne Scars, Pigmentation, Sun Damage, scars and Stretch Marks amongst others. This year we are on track to serve close to 3000 patients with varying conditions. Customer service and honesty are at the core of the ethos at Sky Clinic which flows through the organization. Patients trust us to provide results and our practitioners hold themselves to an incredibly high standard. Going above and beyond the expectations that are held by our patients is the key to our model. Honesty and trust are key components of the clinic and we ensure that our customers are informed of all of their options and consenting at every step of the way.